Black feathered crow is 4.7"' at it's longest dimension. Quality product from large, well-known craft supply company, Darice. The smaller size allows the bird to be perched easily on picture frames, mirrors and plants. The fourth picture shows this crow and a small 4.75" flying crow in the floral arrangement. The last picture shows this crow and a 7" standing crow. 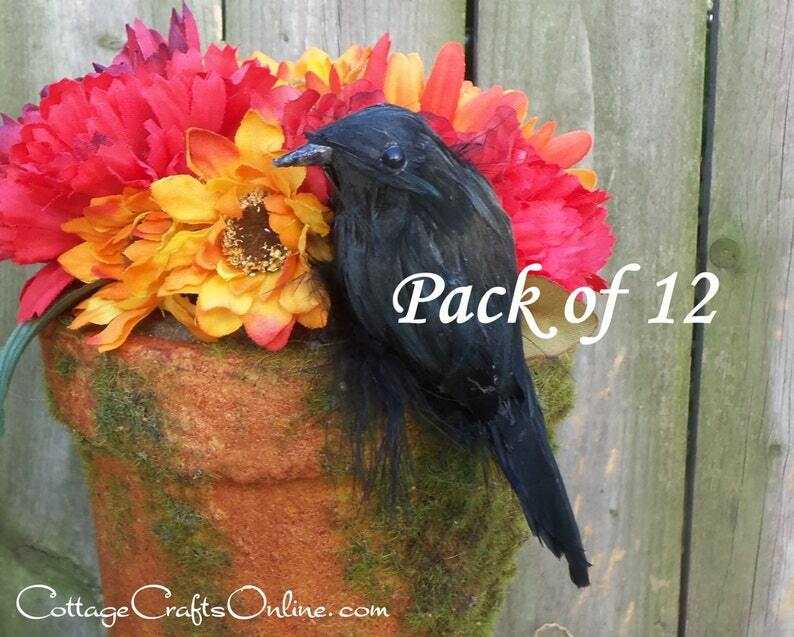 This listing is for a pack of twelve crows. These berry sprays are very pretty and will be beautiful on my front door--thank you for the VERY quick delivery and lovely presentation!! I felt like I was opening a birthday present!